The government’s decision to appoint a second consecutive Tory peer to lead on the equality watchdog’s work on disabled people’s rights could put its status as a leading international human rights institution in jeopardy, according to a former commissioner. In a long-delayed appointment, Lord [Kevin] Shinkwin has replaced his fellow Conservative peer Lord [Chris] Holmes as the Equality and Human Rights Commission’s (EHRC) disability commissioner. There are now fears that the four-year appointment, made by minister for women and equalities Justine Greening, could put at risk EHRC’s status as an “A-rated” national human rights institution (NHRI). The United Nations has made clear through its Paris Principles that NHRIs must be independent of the government. Sir Bert Massie, who chaired the Disability Rights Commission before it was merged into the new EHRC and was himself an EHRC commissioner, said the appointment of two consecutive Tory peers to the post could pose a risk to its A-rated status. He said: “If the perception is that the equality commission is a tool of the Conservative party, it cannot legitimately be said to be independent. He said he had known Lord Shinkwin for years and liked him, but questioned whether he had been the strongest candidate. He said: “I don’t know who all the candidates were. Of those I do know, there were some I would say had a stronger track record, and that’s the issue: it’s about credibility. He said he feared that Lord Shinkwin (pictured) would not have the confidence or track record to speak out against his own government, which has “attacked disabled people in such a sustained way on social care, housing, the benefits system… there has been attack after attack after attack”. Sir Bert said the Conservative government was making the same mistakes that the Labour government had made when it set up the EHRC and made the commission “highly-biased in favour of Labour” and as a consequence “didn’t get the full debate” in internal discussions and failed to “challenge the government sufficiently”. And he said Lord Shinkwin’s appointment showed again that the commission should be taken away from direct government control, with responsibility given instead to a cross-party parliamentary committee. Asked if it was concerned about its A-rated status, an EHRC spokesman said: “We are an independent and robust defender of equality and human rights that holds the government of the day to account and our record demonstrates that. As well as being an EHRC board member, it was assumed that Lord Shinkwin would chair the commission’s new disability advisory committee (DAC), which will replace its disability committee – which was scrapped on 31 March – but will not have the same legal powers. But the commission said it was still “considering what arrangements for chairing and membership of the new DAC will ensure we are best-placed to develop strong arrangements for engaging with disability stakeholders for the future”. 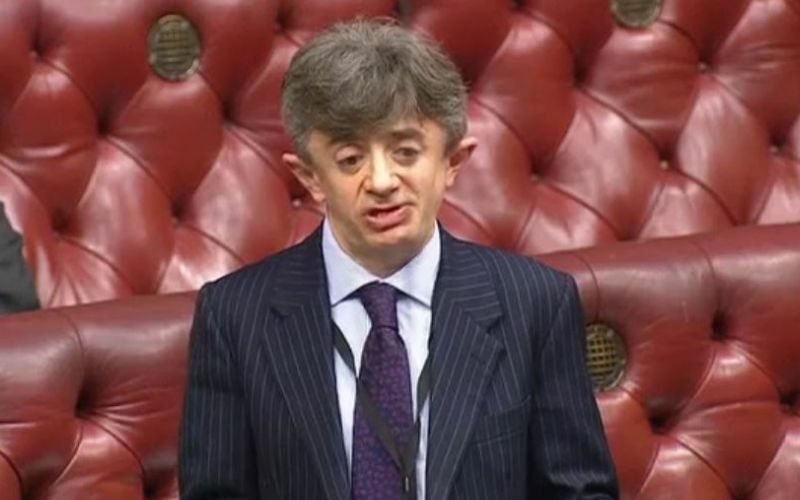 Lord Shinkwin himself spoke out in the Lords last September to back calls to reinstate the disability committee, which he said was “essential if the commission is to enjoy the confidence of the disability community”. He also called in the same speech for the government to take a “more robust approach” towards businesses that failed to meet their obligations to disabled people under the Equality Act. Since his appointment to the Lords in October 2015, Lord Shinkwin has spoken in the Lords on issues such as the charitable sector, his concerns about the impact of Brexit on European Union staff working in the NHS, and on disability equality. Lord Shinkwin, who served on the National Disability Council that advised the Conservative government on the implementation of the 1995 Disability Discrimination Act (DDA), told fellow peers in December: “I have to say that 21 years on from the DDA, I am suffering not from my disability but from a sense of déjà vu. “Despite the milestone that the act represented both for disabled people and for the Conservative party, disabled people are still waiting. He avoided voting last year when crossbench peers launched a bid to over-turn the government’s controversial plans to cut payments to new claimants of employment and support allowance placed in the work-related activity group by £30-a-week, a measure that was implemented earlier this month. But last month he supported “discriminatory” new government regulations that will make it far harder for people with experience of severe mental distress to secure mobility support through the extra costs benefit personal independence payment (PIP). He told fellow peers: “Taxpayers surely understand that conditions such as visual impairments and learning disabilities, where these are severe and enduring, are much less likely to fluctuate than, for example, psychological distress. He then appeared to suggest that he could not support providing the extra mobility benefits for people with severe mental distress until his local council stopped handing him parking tickets and provided him and other disabled people with their own parking bays, and the state stopped imposing “such indefensible extra costs on disabled people”. Nearly all of his written interventions in parliament have been connected to his interest in pro-life issues, particularly his efforts to introduce a private member’s bill that would outlaw disability discrimination in abortion laws. His bill would make it illegal to carry out an abortion on the grounds of disability on a fetus that was more than 24 weeks old, unless there was a risk of serious, permanent damage to the mother or her life was at risk. During a debate on his bill in February, Lord Shinkwin accused the renowned fertility expert Lord Winston of “crass insensitivity” for “hijacking” the disability equality bill of a disabled peer “in order to advance a blatantly discriminatory eugenic agenda”. The conservative Christian blog Archbishop Cranmer described Shinkwin’s EHRC appointment as “good news for all who care about conservative and Christian apprehensions of equality, rights and justice”. Following his appointment to the Lords, Lord Shinkwin received “research and support services” from an employee of the pro-life charity Right to Life, although that support ended in May 2016. He is also a trustee of the National Council for Palliative Care, and before he became a Tory peer had worked for the Royal National Institute for Deaf People, Macmillan Cancer Support, Cancer Research UK and The Royal British Legion. David Isaac, EHRC’s chair, said: “Lord Shinkwin brings a wealth of experience and we welcome him to the board as a commissioner. Meanwhile, Disability Rights UK (DR UK) has appointed Kamran Mallick to replace Liz Sayce as its chief executive, following her decision to retire. Mallick is currently chief executive of the London disabled people’s organisation Action on Disability, and previously worked for the spinal injury charity Aspire and ran his own business. He is on the board of Inclusion London and the Lyric Hammersmith theatre, is chair of Candoco Dance Company, and is a member of Transport for London’s independent disability advisory group. He was not available to comment on his appointment, but said in a statement: “I am delighted to be joining the country’s foremost user-led disabled people’s organisation at such an exciting stage in its development. “Disability Rights UK is working hard to expand its reach to all disabled people, and people with long-term health conditions, and ensure it is their lived experiences which influence policy change.